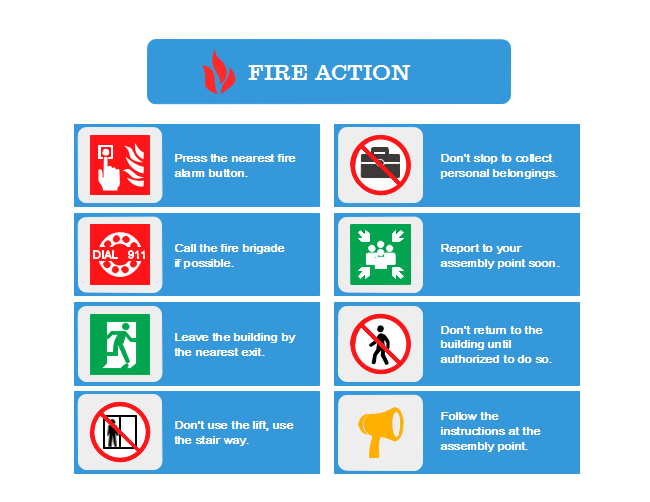 Description: Here is a fire action plan template which is downloadable and editable. The fire action plan is used to ensure that people know what to do if there is a fire. Use pre-made fire evacuation symbols to create fire emergency plan and other materials.